To understand the balance of power in Belarus it is important to understand the role of the siloviki (the security services). Although they affect political decision-making and the degree of violence in domestic politics they are not a predominant group within the ruling elite. In 1999 – 2003, heads of security (KGB, Internal Ministry) and controlling (Committee of the State Control, Prosecutor's Office) bodies headed by Viktar Sheiman an old ally and friend of Lukashenka had significant influence on the foreign and domestic policy of Belarusian authorities. Sheiman served as Prosecutor General and State Secretary of the Security Council. Regardless of what position Sheiman held, he chaired extended meetings of the heads of security and controlling bodies. The controlling and repressive mechanisms, led by Sheiman, were directed against the opposition campaign to hold an alternative presidential election in 1999. In the same year, under Sheiman's leadership, opposition leaders, who could become dangerous rivals to Lukashenka in the presidential election of 2001, were eliminated: former Interior Minister Yury Zakharanka and former Deputy Prime Minister Viktar Hanchar. Unknown persons inflicted fatal injuries to Hienadz Karpienka. In 2001 – 2002, under the leadership of the second-ranked person in the State, Sheiman, independent trade unions were persecuted and the directorate of enterprises were cleansed of likely opponents of Lukashenka. After January 2004, when Russia set a course for reducing subsidies to Lukashenka's regime, Sheiman began losing his positions within the main bodies of power. On 24 January 2004, Russia fully suspended deliveries of gas to Belarus. Lukashenka faced the following demands: to sell the controlling stake in Beltransgaz for $800m or to face an increase in gas prices to the market level. Survival of Lukashenka's regime was now dependent on the efficiency of the economy. In 2007 – 2008, the group of siloviki disintegrated. On 7 July 2008, Lukashenka removed Sheiman from the position of the State Secretary of the Security Council. The significance of this position in the hierarchy declined. Lukashenka's eldest son Viktar, who is now Assistant to the President for National Security Matters, became the unofficial curator of security and controlling bodies. In 2008 – 2011, Viktar Lukashenka replaced Sheiman's appointees amongst the leadership of the security bodies with his own trusted men. However, one can speak only figuratively about the existence of a group of siloviki under Viktar Lukashenka's leadership. Viktar Lukashenka's group includes many civilians, young businessmen and officials, with whom he studied at the Foreign Relations Department of the Belarusian State University. It is known that one of the reasons for Viktar Lukashenka's personal animosity towards Viktar Sheiman was that the latter was interfering with the development of private business. After the events of 19 December 2010 many experts were saying that the siloviki once again became a predominant group. 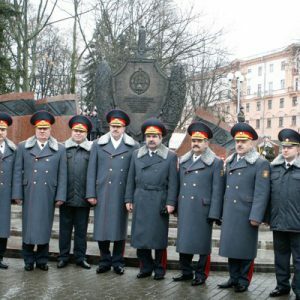 Heads of security agencies involved in repression push Lukashenka towards further deterioration of relations with the West, because political liberalisation in Belarus and rapprochement with the West means a threat of prosecution to them. There has been a certain movement towards economic liberalisation and privatisation. It means a lesser role for the controlling and law enforcement agencies in the political system in Belarus. The siloviki do not exert pressure on the decision-making process in the Council of Ministers. The government works in a quiet mode. The discussion is not around who should be punished (as it happened frequently while Sheiman was in power), but what should be done. Since 19 December, there were no cases of criminal prosecution of top managers of major industrial enterprises and big private businesses. The arrest of General Director of Belvneshstroj Viktar Shautsou in October 2011 is quite in line with the pattern of controlled corruption which exists in Belarus. He appropriated about $10m which was more than what is allowed. At the same time, criminal proceedings were initiated against Deputy Interior Minister Jauhien Paludzien and General Ihar Azaronak. Personnel changes took place in the top management of the Interior Ministry. There have been no instances of struggle between law enforcement bodies for control over state-owned companies or instances of takeovers of private businesses by the siloviki. During the existence of Sheiman's group such cases were quite frequent. For instance, top managers of the KGB and the Interior Ministry fought over top managing positions in the Zhlobin Steel Plant for their men. Currently people from security and controlling agencies tare not frequently to positions in the Presidential Administration. In 2001, former Interior Minister Yury Sivakou (Sheiman's man) was appointed Deputy Head of the Presidential Administration on Personnel Matters. He was responsible for supervising the personnel management in the executive vertical. Now, the Presidential Administration is rather a civilian body. And this is the most important body in the political system of Belarus. The siloviki have not received the carte blanche for widespread repression in Belarus after 19 December. After 19 December 2010 repression is much more prevalent than ever before. However, repression is directed against those opposition groups which, in the authorities' opinion, were involved in the attempts to storm the House of the Government. Repression against other opposition groups and NGOs is localised and pin-point in its nature. After 19 December, there has been no significant expansion in the staff of security and other controlling bodies. The establishment of a new agency – the Investigation Committee – has been done by recruiting employees of the existing agencies. Who is Pushing the Repressions? Finally, one cannot reaffirm that these were the siloviki who pushed Lukashenka into unleashing repression on 19 December. There were background factors indicating that under certain changes in the situation, on 19 December, the authorities would stop following the scenario of liberalisation and would act according to a different scenario, a scenario of repression. In 2009, Lukashenka said that the establishment of a public consultative council at the Presidential Administration was an initiative of Uladzimir Makiei, which he took rather negatively. In 2010, he said that he saw no sense in letting thirty opposition activists to get into the parliament, as "the West will be happy at first, but then it will ask for more anyway". Lukashenka received many arguments to conclude that the independence of Belarus is what matters most for the West. From the context of his statements that followed, in his opinion, the West can close their eyes on many things that were happening in Belarus for the sake of its independence from Russia. Repression of 19 December and in the following period should not be explained solely by emotions and Lukashenka's fear of revolution. Lukashenka acts and speaks in the framework of a certain contract with the nomenklatura. What Lukashenka says about opposition reflects to some extent the nomenklatura's attitude towards the opposition. A fragmented opposition represented by conflicting groups, with no leader and no program, is not only unable to speak to the majority of voters, but also to the nomenklatura and the directorate. The West and democrats in Belarus have to deal with a nomenklatura frightened by an attempt at revolution. The Belarusian officials sometimes have irrational motives, fears and emotions. But their calculations and rational choices, including in relations with the West, play a much greater role. Belarusian government recently reaffirmed its desire to become a top-30 nation in the World Bank’s Doing Business Report. To assess how well local authorities across the country pursue this goal a number of Belarusian organisations organised a special competition – “The Best Town/District and Oblast for Doing Business in Belarus”. The latest competition results were announced at the Assembly of the Business Circles of Belarus at the end of February. Now the Belarusian business community and potential foreign investors know where their entrepreneurial activity can yield the highest profit in 2012. But because of the voluntary and populist methods of economic governance in Belarus both entrepreneurs and officials are sceptical that the country will land in the top-30 of the most favourable places to do business. The competition compared business climates in all Belarusian towns and regions and identifies where a local or foreign businessman can enjoy more favourable conditions for doing business. The jury of the competition consisted of entrepreneurs, representatives of business unions, academics and analysts. The organisers included the Republican Confederation of Entrepreneurship, one of the biggest Belarusian business associations. The study assesses various factors, including the number of small enterprises per 1,000 inhabitants and the share of small businesses in the overall number of the employed, the amount of taxes paid and investments. The jury also takes into account opinions of local business associations about the attitudes of local authorities to businessmen, the image of entrepreneurship in local media and opportunities for young people and particularly women to run their own business. This year the authorities of 76 (out of 118) districts submitted their documents for the competition, the highest number ever. This could be an indication that local authorities are becoming increasingly interested in attracting private investments. But probably the official support of the Ministry of the Economy played a more important role. among the districts of the capital city – Frunzenski District of the City of Minsk. The assessment results revealed a number of interesting facts. For example, the city of Minsk has the biggest share of population employed by small enterprises (more than a quarter of the working population). In the east of Belarus this share is significantly smaller than in the West. In some districts of the east less than three percent of the population work for private firms. The share of taxes paid by small businesses is the highest in central Belarus. In some districts the share reaches a half of all the taxes collected. In eastern Belarus this share is generally the lowest. Perhaps, the most telling data concerns capital investments by small businesses. It shows where in Belarus entrepreneurs feel more secure and can make long-term plans. According to the competition jury, after the 2011 economic crisis there were simply no “safe havens” for long-term investments in the country. However, in some regions of Belarus private investors are still active. For example, certain parts of central Belarus receive more than 40% of all investments from small businesses. Whereas, in some areas in the West this indicator is close to zero. The XIII Assembly of the Business Circles of Belarus, where the competition results were announced, shed light on the very alarming expectations shared by entrepreneurs and even state officials. The main organiser of the Assembly – the Republican Confederation of Entrepreneurship – presented an updated version of the National Business Platform. This document represents the business community's vision of desirable market reforms. The Platform focuses on the new economic realities that Belarus faces in the Common Economic Space with Kazakhstan and Russia. 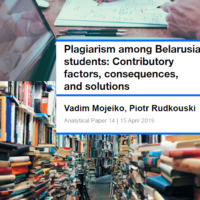 It articulates the idea that the Belarusian economy is doomed if the government fails to carry out fully-fledged market reforms. The discussion of the Platform revealed that almost all participants of the Assembly (including state officials) see market reforms as the only way to raise the competitiveness of the Belarusian economy. All speakers were vocal about the need to launch a structural transformation and seriously improve the business climate. But at the same time there was a great deal of pessimism and even despair in the speeches of the Assembly. And this state of despair is easy to explain. In a country where economic policy is so susceptible to the arbitrary decisions of just one man (even though he is the President) no one knows what a new day will bring. And when social populism generously supported by Russian energy subsidies permanently prevails over economic analysis, the chief decision-maker is very unlikely to start listening to economic arguments. As a result, even top officials turn into desperate pessimists. This desperate pessimism makes the goal of becoming a top-30 jurisdiction for doing business sound more like a bad joke. And the competition for the best business climate in Belarus becomes just a nice public speaking exercise.